The carbon already emitted by burning fossil fuels has driven significant global warming, with 2016 near certain to succeed 2015 as the hottest year ever recorded. 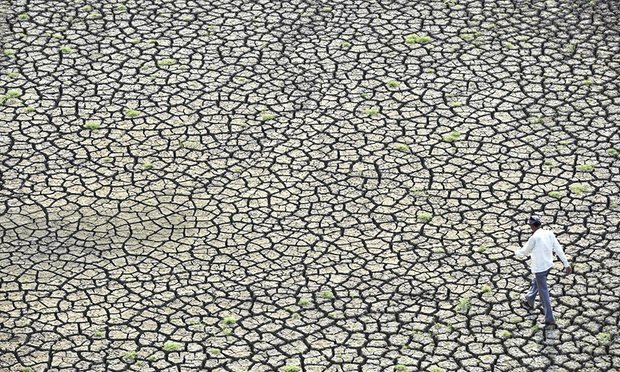 Other recent studies have shown that extreme heat waves could push the climate beyond human endurance in parts of the world such as the Gulf, making them uninhabitable. The new work, published in Nature Climate Change, considers the impact of emitting 5tn tonnes of carbon emissions. The researchers used a series of sophisticated climate models and found this rise in CO2 would lead to surface temperatures rising by an average of 8C across the world by 2300. When the effect of other greenhouse gases is added, the rise climbs to 10C.